Baby boomers are replacing seniors on cruise ships as the cruising experience changes to suit their taste and they get more free time to travel. More and more my fellow cruise passengers are around my age 63. Ten years ago the cruisers were a lot older than me. As boomers retire they have more time to take a cruise but most of the boomers I talked with on a recent cruise are repeat cruisers. 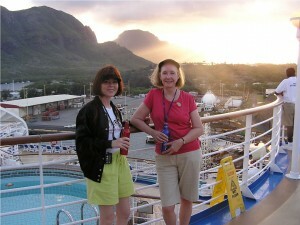 The cruise lines have plenty of ships and would like to keep boomers cruising and attract new boomer cruisers. 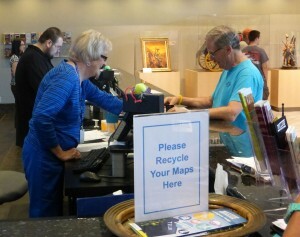 To do so they are making changes in the cruise experience that are attractive to boomers. As a frequent cruiser here are some of the changes I have noticed. 1. More Casual Dining – The buffet is more like traditional dining with drink waiters, white table cloths and a more settled feeling like in the formal dining. Same food is severed as in the formal dining room. 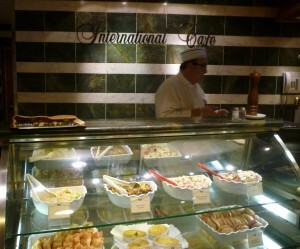 But the big change is in the 24 hour international cafe in the piazza in the center ship that serves pastries, sandwiches and salads, soup for and quick but tasty lunch. Alongside the cafe is the gourmet coffee shop. Boomers like casual and fast. 2. 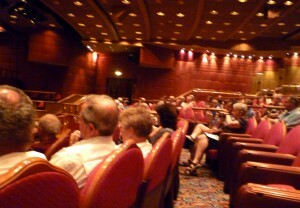 More Learning Opportunities – Classes at Sea with lectures on several subjects from experienced people. On a recent cruise we had a naturalist giving lectures each day on volcanoes, sea mapping and types of ocean waves. Also a former U-2 pilot had a lot of interest in his talks about military intelligence history. A cultural presentation by a museum director was given. 3. 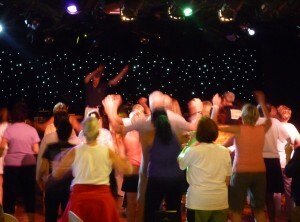 More Active – On the ship the dance classes were well attended as well as Zumba and other exercise classes. The Olympics drew a good crowd trying out a different activity each day. 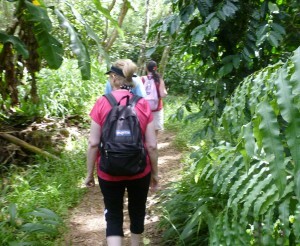 Then there were yoga, massages and a walking club. 4. Boomer Entertainment – Street entertainment in the center ship Piazza was nice. Movies under the stars and countless other activities. The comdey was geared more toward boomers I noticed. 5. Active Off Ship Excursions – Hikes in the rain forest, snorkel trips, helicopter tours, and ATV riding were some of the move active ones. Interesting that learning and staying active is becoming a mainstay of cruising just as with the active adult communities. You have heard the idea of just retiring to a cruise ship; well that may not be such a far fetch idea after all. This article is so accurate! In 2012, we decided to take a bucket-list cruise through the Panama Canal. The experience was so unforgettable we actually wrote a book about it: Cruising Panama’s Canal, savoring 5,000 nautical miles and 500,000 decadent calories. This article is so accurate. 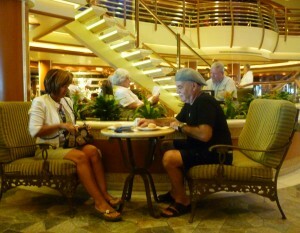 We boomers are discovering the pleasure and affordability of cruising (we can indulge our travel lust in comfort). In 2012, my husband and I took a bucket-list cruise through the Panama Canal. The experience was so unforgettable that we actually wrote a book about it: Cruising Panama’s Canal, savoring 5,000 nautical miles and 500,000 decadent calories. It gives a no-holds-barred account of our 17 day cruise.